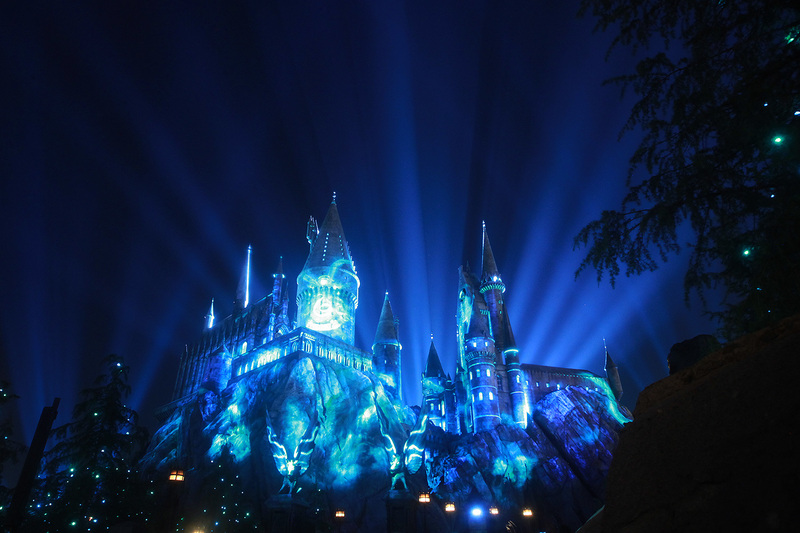 The already wondrous realm of The Wizarding World of Harry Potter gets an added boost of magic this summer with Nighttime Lights at Hogwarts, a new nighttime feast of lights and projection mapping at Universal Studios Hollywood that officially begins Friday, June . 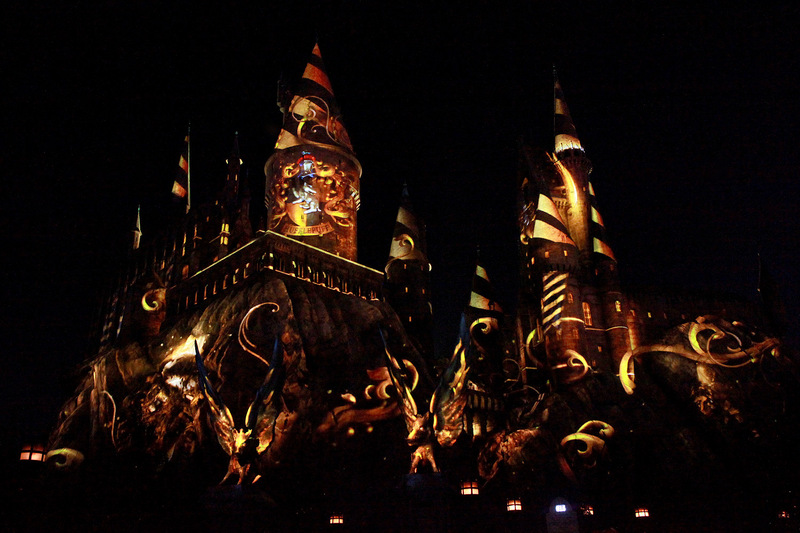 The entertainment theme park located a few minutes north of Hollywood has always lacked a nighttime show, so no real reason to stick around too long after dark, with the exception of the nighttime Studio Tour and CityWalk. 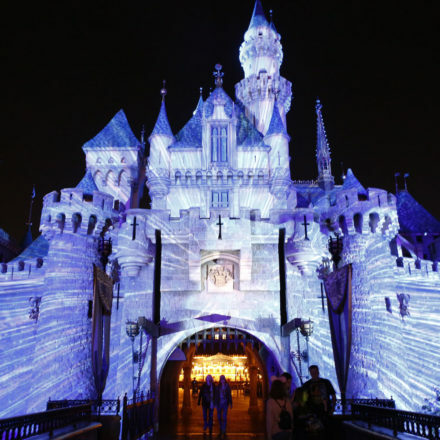 With Nighttime Lights, at long last, there’s a reason to stay late and even later still. 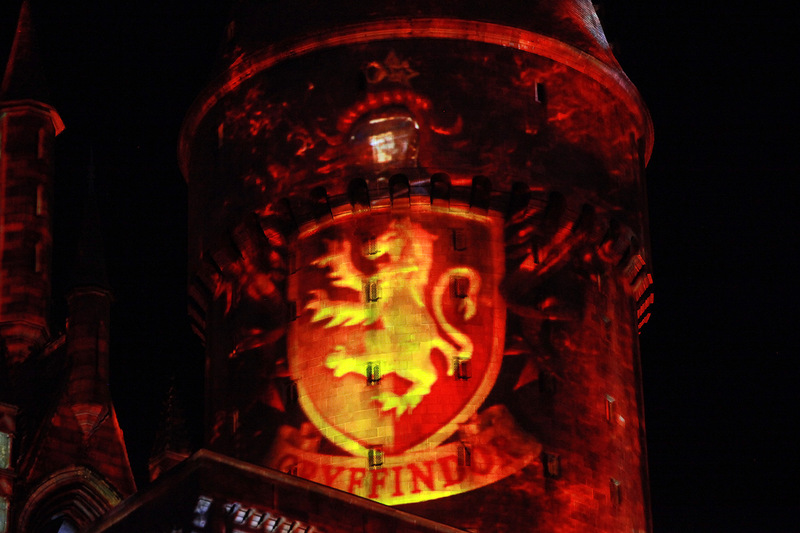 The colorful state-of-the-art effects display celebrates the four houses of Hogwarts School of Witchcraft and Wizardry: Ravenclaw, Hufflepuff, Slytherin, and Gryffindor. 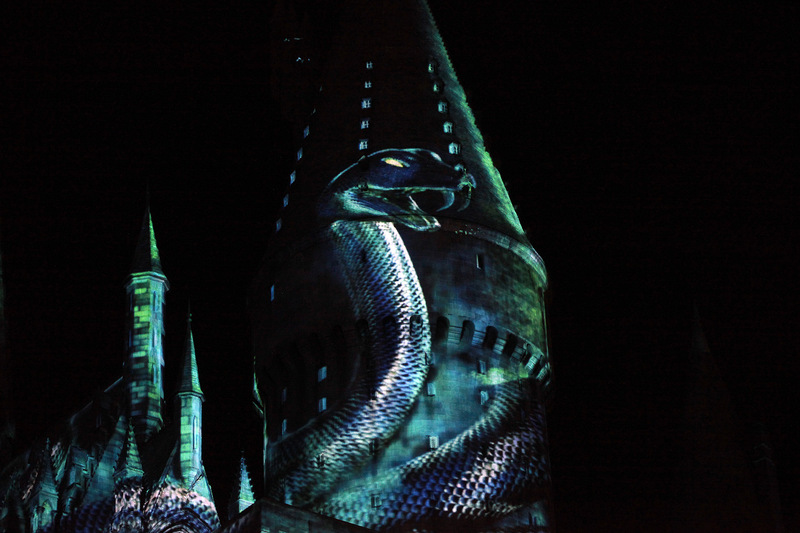 Accompanied by a special musical arrangement created by Academy Award-Winning composer John Williams and conducted by William Ross with the London Symphony Orchestra. 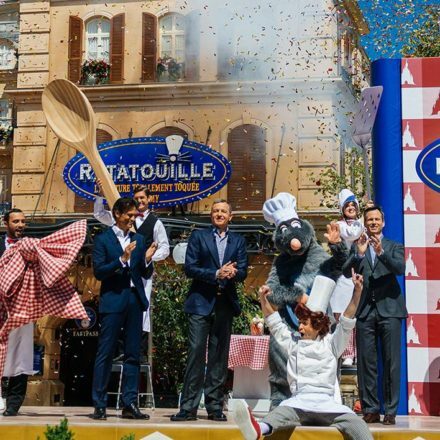 If you think the show looks familiar, you may have watched the Grand Opening festivities just a year ago with an incredible lighting display complete with fireworks and a live concert performance with John Williams and the Los Angeles Philharmonic. 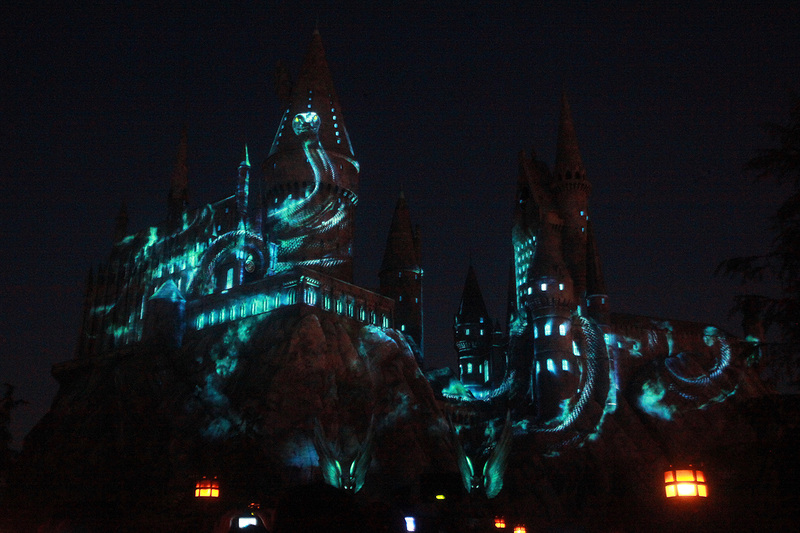 While this updated show is a bit shorter and doesn’t have fireworks or a live orchestra accompaniment, the surround sound utilized in Hogsmeade Village is glorious. 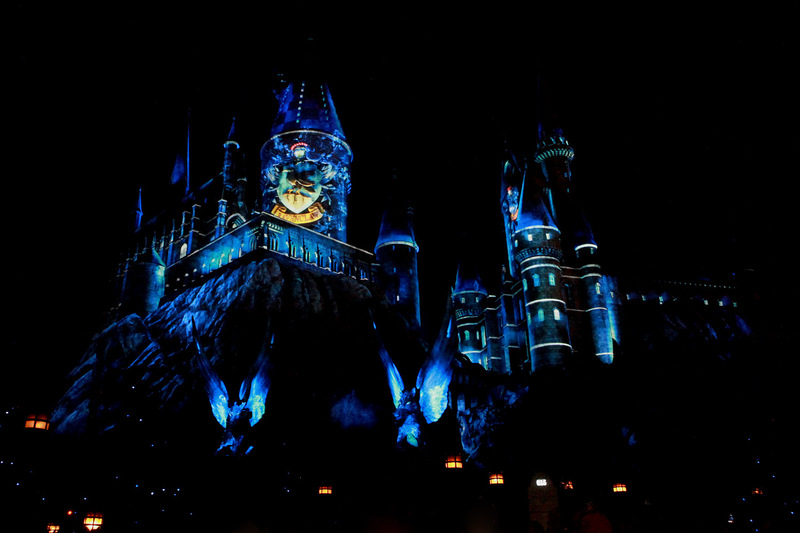 Guests this summer will be able to enjoy Nighttime Lights at Hogwarts multiple times a night if they wanted, and they will. 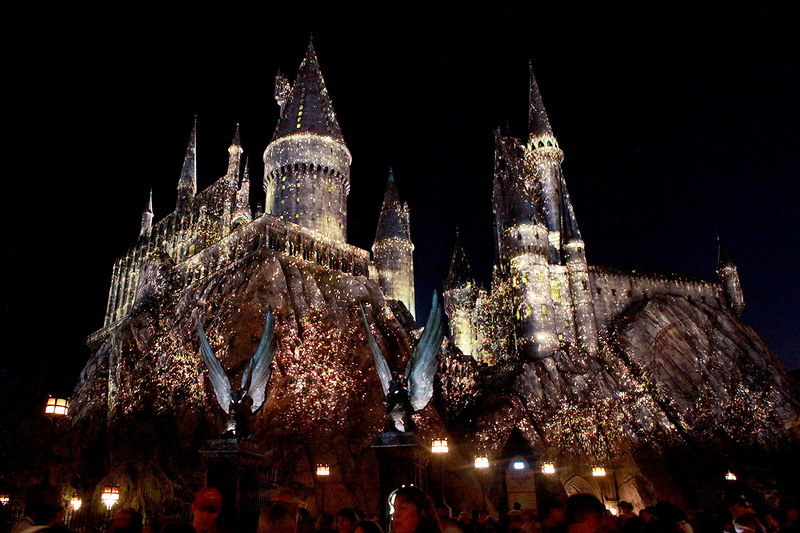 It truly is an incredible sight. 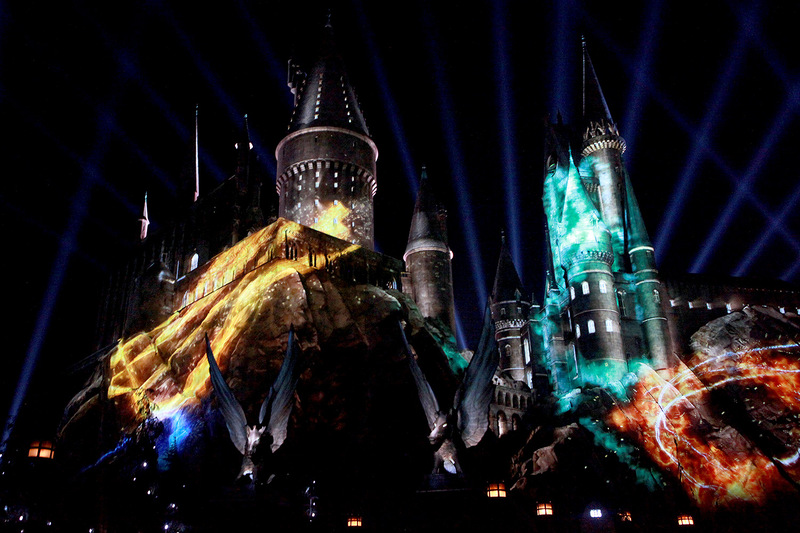 You too will fall in love with the Nighttime Lights in Hogwarts again and again. 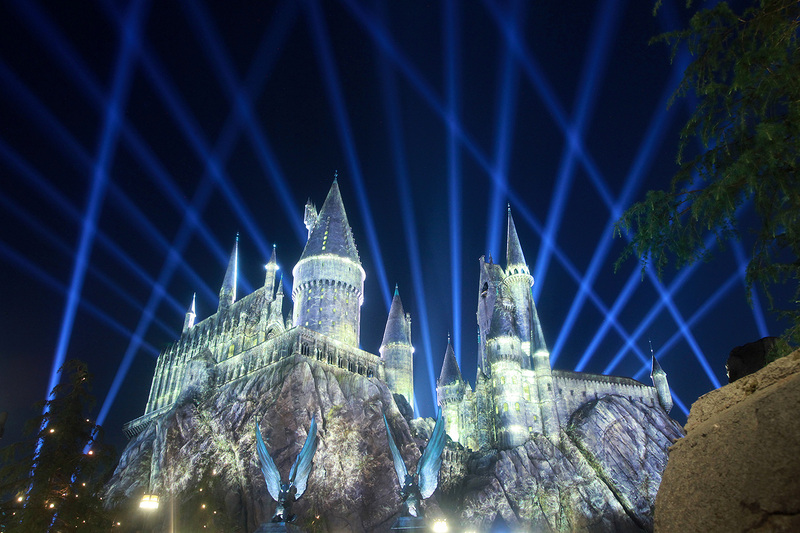 Universal Studios Hollywood on Facebook will host a Facebook Live event to stream the all-new “The Nighttime Lights at Hogwarts Castle” experience at “The Wizarding World of Harry Potter” on Friday, June 23 at 8:45pm PST. 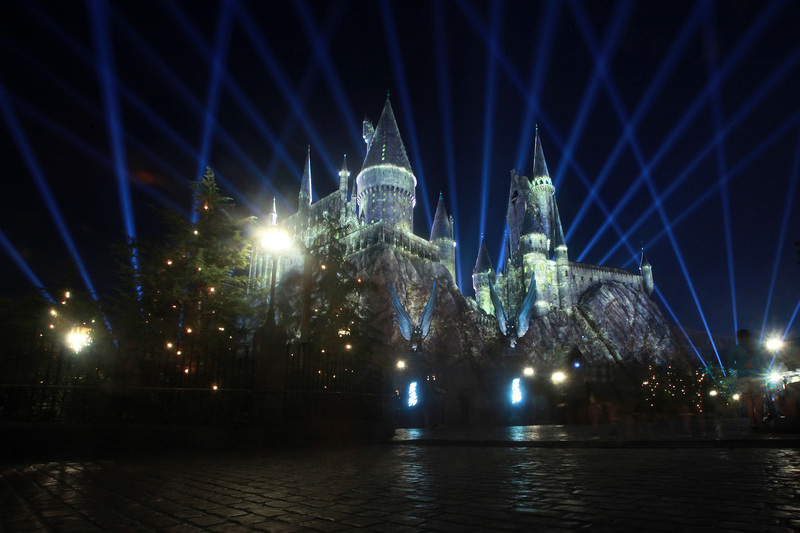 Be sure to come back to Universal Studios Hollywood and Universal Orlando this coming holiday season for “Christmas in the Wizarding World of Harry Potter”.